Mad Monkey Boracay is heaven on earth for backpackers. 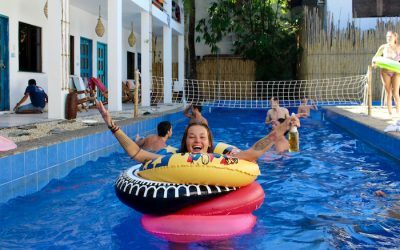 Our swimming pool and bar are the perfect place to meet people, and our dorms and private rooms are clean, comfy, and affordable. We’ve got non-stop fun lined up for you: our legendary Booze Cruise, epic Go-Karting tournaments, trips to Boracay’s gorgeous white sand beaches, and much, much more. Can’t wait to see you here! Press Play to see what’s waiting for you in Boracay! 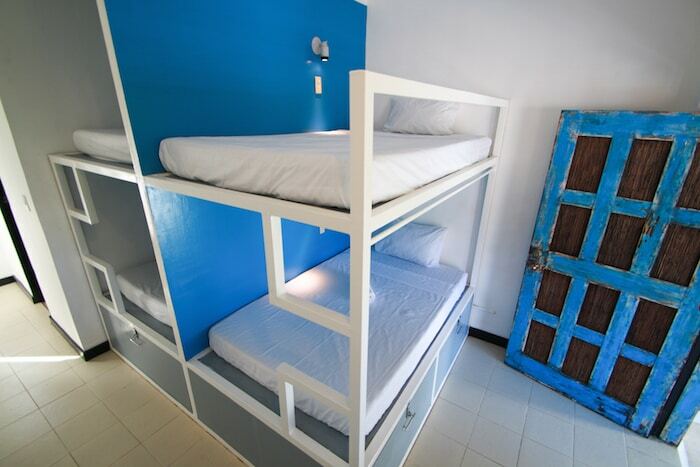 If you’re searching for a kickass backpackers hostel in Boracay, the search is over! Mad Monkey Boracay is located close to Station 2 on White Beach and just a few steps away from the famous kitesurfing on Bulabog Beach. Not that you’ll ever want to leave, with all the awesomeness going on inside. 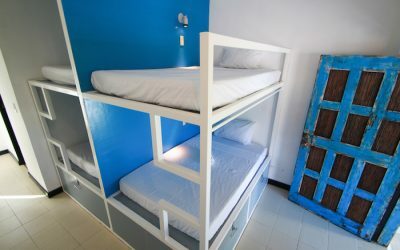 With great low rates and a perfect location the Mad Monkey is one of the best hostels in Boracay for those that are young, young at heart, or young in the liver 😉 With low rates for our awesome dorms and private rooms, great design, funky artwork, and the Mad Monkey commitment to excellent customer service and friendliness it’s no wonder we receive so many rave reviews on TripAdvisor Boracay pages, Hostel World Boracay listings, and Google. 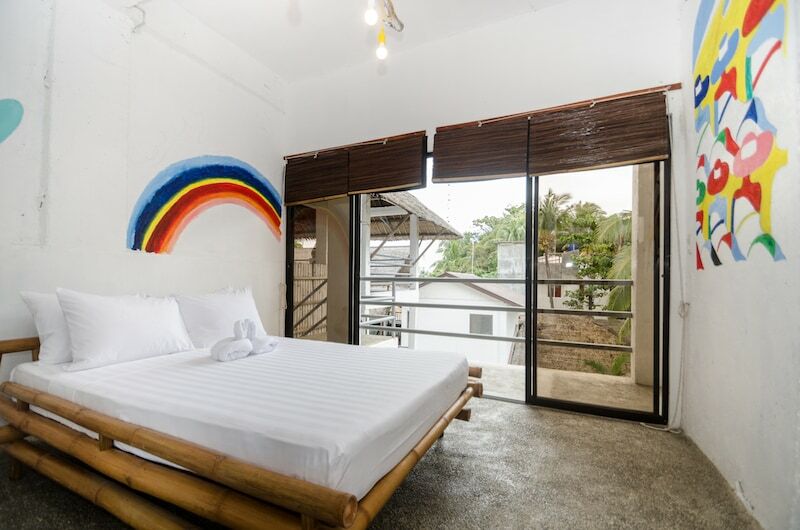 Mad Monkey has also been highlighted on many Boracay travel blogs as one of the most recommended places to stay in Boracay. If you’re a young, fun-loving traveler and you’ve been browsing through the many cheap Boracay hotel listings online, stop scrolling. We can offer you affordable accommodations AND a truly social experience where you’ll have fun, meet tons of like-minded backpackers, and experience Boracay to the fullest. 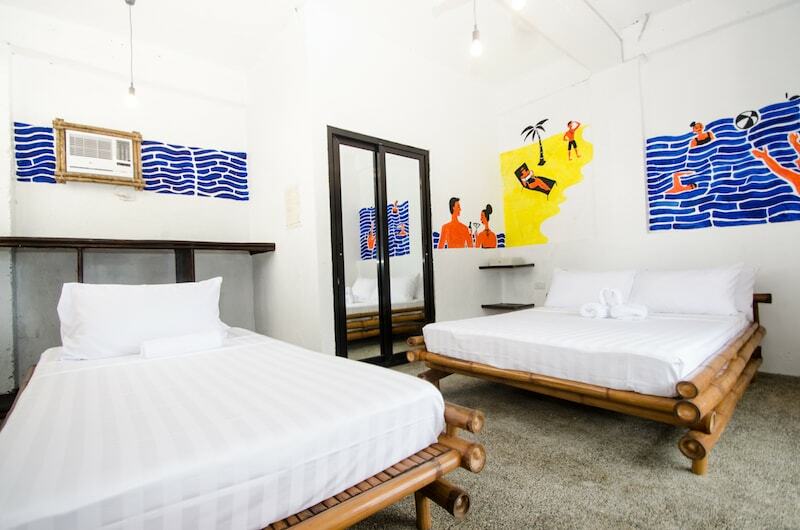 Upgrade your Boracay stay by booking at the Mad Monkey Boracay now. Although we are not a “chill out” hostel we can promise you plenty of opportunities to unwind. We have a super large pool and the beach is just a few minutes away. When you’re adequately relaxed, Boracay’s nightlife, bars, and clubs are just a few minutes walk from the hostel. Each dorm bed at Mad Monkey comes with your own box locker for your gear, a dedicated power outlet for all of your gadgets, and a personal fan and reading light. We’re committed to ensuring your safety and comfort throughout your stay, and we’ll do everything we can to offer you an outstanding social experience. Mad Monkey is the perfect place to make new friends, enjoy the beach during the day, and party like a rockstar (on a budget) all night. 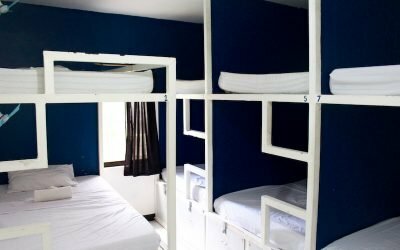 You will not find our hostel listed on most of the big booking sites, and we are a very busy place to stay in Boracay, so it’s best to reserve your room by making your booking online now through our website. Booking direct ensures you get the best prices and discounts available – plus there’s no deposit required. What are you waiting for – book your spot and get in on the madness! 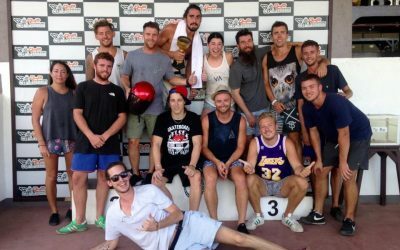 We want our guests at Mad Monkey to have the best experience possible during their stay. 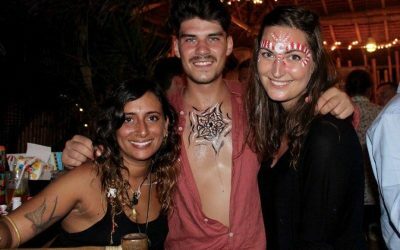 We offer nightly party events in the hostel for your entertainment and to help you meet new people. We also offer a huge selection of tours and activities that can be booked directly in the hostel. 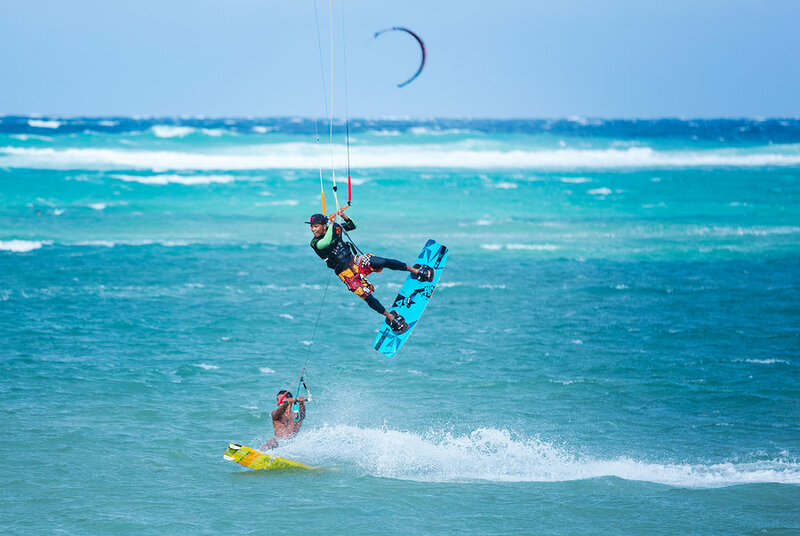 If you are coming to enjoy Boracay kitesurfing you will be pleased to know that we offer lots of rental options, lessons, and experience packages at Boracay kite resorts just down the road from our hostel. 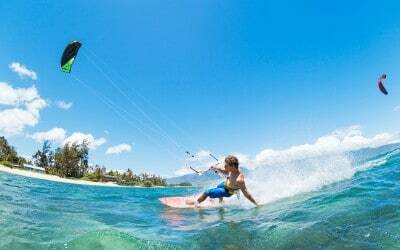 We provide free kite storage for your gear if you’re a pro and you’re coming fully prepared! We are also able to help you book Boracay scuba diving courses, boat tours, undersea ‘helmet diving’ walks, and a huge variety of Boracay tours and activities that are perfect for backpackers. 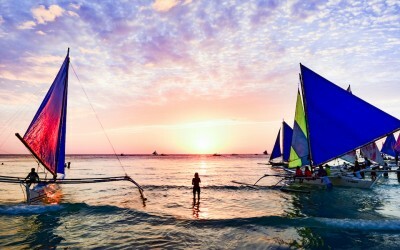 You can find just some of the tours listed in our Boracay guide or this article on “35 Things To Do In Boracay“. 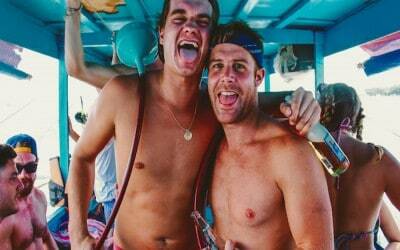 Mad Monkey also runs a legendary Boracay Booze Cruise twice a week. 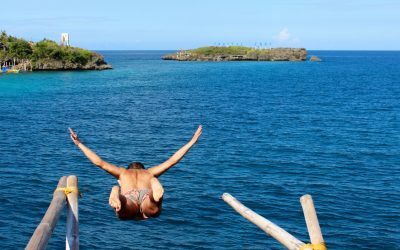 In this all-inclusive, all-day tour you’ll go cliff jumping, go snorkeling, and visit a private beach to watch the sun go down. Oh, and there are unlimited drinks on the boats and at every activity! The tour sells out every time we run it, so it’s an ace way to meet other backpackers in Boracay and experience everything the island has to offer in one go! 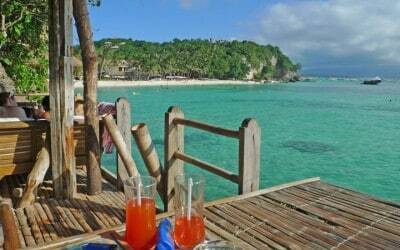 When it comes to booking Boracay accommodation, we know what you want. You want to pay reasonable rates, but you don’t want to compromise on quality, value, service, or atmosphere. We’ve got what you want! We clean our rooms and dorms each day. All of our dorm beds have a personal fan, a power outlet for your gadgets and laptops, and a private secure locker. No two rooms are the same – each is decorated with murals by local artists and kitted out with high quality bedding and fixtures to ensure your comfort. 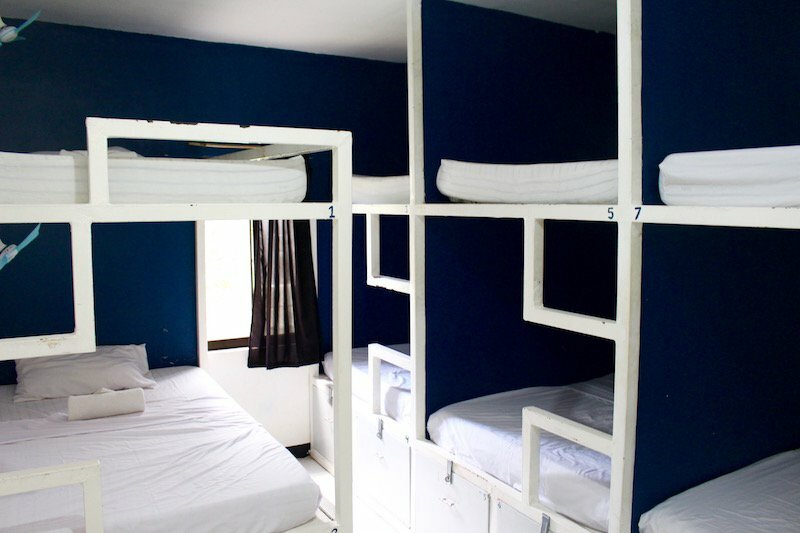 There are lots of great hostels in Boracay. We’d know, we’re friends with them! There are a few things that we believe set Mad Monkey apart, though. Our atmosphere really is above and beyond what you’ll find anywhere else. Our social spaces around the bar and pool create the perfect environment for getting to know people and our team. The good times and laughs never stop, from dawn til dusk til midnight. You’ll also have tons of opportunities to get to know our staff and learn more about the Philippines. There’s a special feeling in the air at Mad Monkey, and we can’t tell you how many guests have ended up extending their stays way longer than expected. Getting to Boracay is relatively easy. Once you’re here, we’ll be happy to able help you plan all of your onward travel bookings, boat tickets, bus tickets, and flights for wherever you’re headed next. Just stop by our Travel Desk in the hostel. Mad Monkey is a socially responsible business founded on the principles of giving back and contributing to the community. One of the most effective ways that we do this is to ensure we look after our Mad Monkey team. 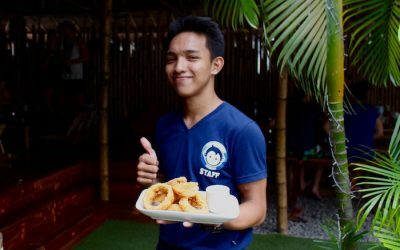 All of our team members at Mad Monkey Boracay are paid well and receive benefits far in excess of the local minimum requirements. We have developed a supportive, family-like atmosphere within our team. Our team members know that we are invested in their progress and job satisfaction, and they benefit from continuous training and education. We are also active in the local community and have currently worked to raise donations for school equipment for the local Boracay school near our hostel. We are currently developing our Corporate Social Responsibility program for the Philippines. This new endeavor will allow us to make an even greater positive impact in Boracay. We’ll be supporting more local initiatives, as well as national programs that are making a difference for the most disadvantaged communities in the Philippines. Find out more about our work in the community here. Some travel companies, such as SouthWest Tours, organize this trip so that you can pay them one time for all the tickets and arrangements necessary. They’ll get you from the airport to our front door. They have booths in the airports, where you can learn more and book.